“Snow White,” “Rapunzel,” and “Hansel and Gretel;” three stories read and beloved worldwide in a narrative style that has remained unchanged in two hundred years. Evil stepmothers cast out the beautiful Snow White and Hansel and Gretel, while Rapunzel works on a ladder to join her prince. In the first edition from 1812, however, readers are confronted with evil biological mothers wishing their innocent children dead, and Rapunzel is cast from her tower because she is impregnated by her plucky prince. The cleaner, less subversive versions we know are from the seventh edition of tales, published by Jacob and Wilhelm Grimm in 1857. They are the result of the brothers’ tireless efforts to refine and edit German folk and fairy tales, while the men simultaneously worked to preserve stories that had been part of an oral folk tradition. Now, Princeton University Press has released a translation of the complete first edition, including the Grimms’ preface and notes. Translated and edited by Jack Zipes, professor emeritus of German literature at Minnesota University, these stories capture the varied voices of those people who originally told the Grimms these colorful tales. The Original Folk and Fairy Tales of the Brothers Grimm. Image reproduced with permission of Princeton University Press. Illustration ©2014 Andrea Dezsö. Many folk tales in this edition did not make it to later publications. Certain stories were too gruesome for young readers and middle-class sensibilities, such as the disturbing “How Some Children Played at Slaughtering.” Indeed, as the Grimms published subsequent editions, the stories became more literary and refined, retaining the magic but losing some of the more absurd, raw qualities that lend some qualities later seen in work by Kafka. The tales of the 1812 edition are direct, simple, and full of raw emotion. Sometimes the hero (often a downtrodden underdog) doesn’t live happily ever after, if at all. Children are frequently at the mercy of wicked adults, yet these stories belong to a world inhabited by fairies and talking animals, where innocents are tested and, if successful, rewarded for their bravery and honesty. Thoroughly engaging, Zipes’ translations into colloquial American English breathe life into these stories. Award-winning artist Andrea Dezsö’s cut-paper black and white illustrations capture the essence of this strange and enchanting world that will entice fans of mystical realms and those interested in better understanding the Grimms’ enduring influence on literature. "Snow White," "Rapunzel," and "Hansel and Gretel;" three stories read and beloved worldwide in a narrative style that has remained unchanged in two hundred years. Evil stepmothers cast out the beautiful Snow White and Hansel and Gretel, while Rapunzel works on a ladder to join her prince. In the first edition from 1812, however, readers are confronted with evil biological mothers wishing their innocent children dead, and Rapunzel is cast from her tower because she is impregnated by her plucky prince. The cleaner, less subversive versions we know are from the seventh edition of tales, published by Jacob and Wilhelm Grimm in 1857. They are the result of the brothers' tireless efforts to refine and edit German folk and fairy tales, while the men simultaneously worked to preserve stories that had been part of an oral folk tradition. 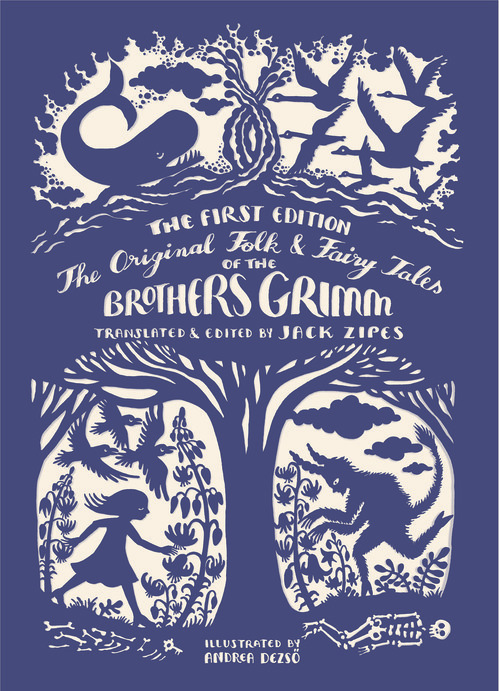 Now, Princeton University Press has released a translation of the complete first edition, including the Grimms' preface and notes. Translated and edited by Jack Zipes, professor emeritus of German literature at Minnesota University, these stories capture the varied voices of those people who originally told the Grimms these colorful tales. The Grimm brothers were fascinated by what they called "natural poetry" (Naturpoesie), stories passed down from generation to generation. They felt that these ancient folk songs, proverbs and anecdotes were the foundation for German Kuntspoesie ("cultivated literature"). Viewing themselves as literary custodians of the origins of German literature, Jacob and Wilhelm spent years researching and recording stories of the German Volk. Contrary to popular belief, the Grimms did not travel the countryside in search of tales. Rather, they commissioned storytellers to share their stories. A list of contributors indicates the dozens of teachers, ministers, bourgeois women and poor peasants who provided tales. With so many sources, the brothers often heard variants of the same story, and so included them in their first edition. As a result, there are multiple entries for some tales, such as "Little Red Cap" and "The Little Magic Table, The Golden Donkey, and the Club in the Sack." Many folk tales in this edition did not make it to later publications. Certain stories were too gruesome for young readers and middle-class sensibilities, such as the disturbing "How Some Children Played at Slaughtering." Indeed, as the Grimms published subsequent editions, the stories became more literary and refined, retaining the magic but losing some of the more absurd, raw qualities that lend some qualities later seen in work by Kafka. The tales of the 1812 edition are direct, simple, and full of raw emotion. Sometimes the hero (often a downtrodden underdog) doesn't live happily ever after, if at all. Children are frequently at the mercy of wicked adults, yet these stories belong to a world inhabited by fairies and talking animals, where innocents are tested and, if successful, rewarded for their bravery and honesty. Thoroughly engaging, Zipes' translations into colloquial American English breathe life into these stories. 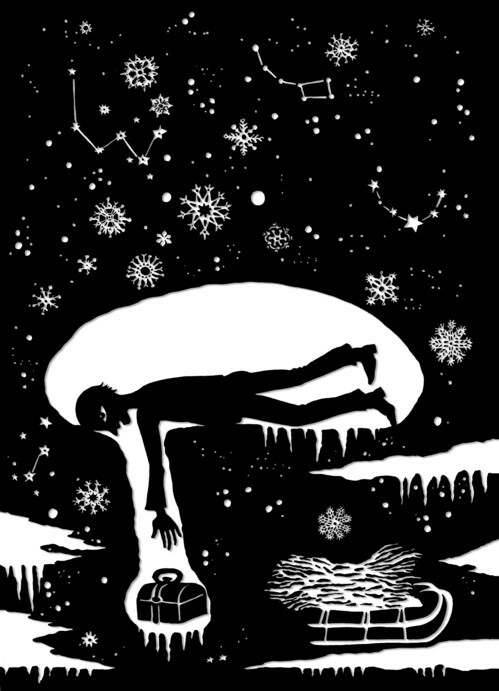 Award-winning artist Andrea Dezsö's cut-paper black and white illustrations capture the essence of this strange and enchanting world that will entice fans of mystical realms and those interested in better understanding the Grimms' enduring influence on literature.